In fact, information about the role of carbon dioxide as a greenhouse gas in the atmosphere has been widely available for over a century and has its foundation as far back as the early 19th Century, nearly 200 years ago. At that time, physicists were coming to terms with radiation physics and were attempting to understand why the Earth had a stable temperature. Knowing the energy falling on the planet from the Sun and after building an understanding of the radiation outwards from the Earth itself, the expected temperature of the planet could be derived. Unfortunately the calculation resulted in a number of somewhere around -15°C, which was clearly some 30°C lower than the observed temperature (about +15°C). Something else was in play, but at the time this was unclear. By 1862, an understanding of the role of certain gases in the atmosphere had been established, now more widely known as the “greenhouse effect”. 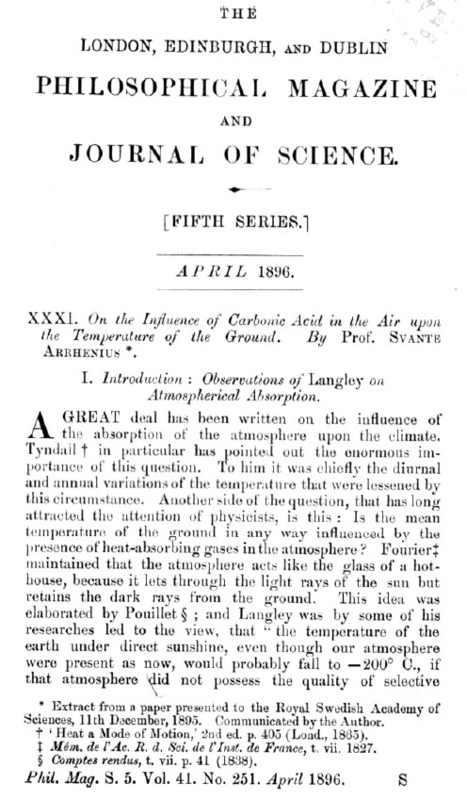 In 1896, Swedish chemist Svante Arrhenius used this information for a paper on the role of carbon dioxide that remains the foundation of 120 years of analysis of the Earth’s temperature and resulting climate (On the Influence of Carbonic Acid in the Air upon the Temperature of the Ground). The Arrhenius paper discusses the work of a Professor Högblom, another Swedish scientist of the day, who had even calculated how much the burning of coal at that time (500 million tonnes per annum) might change the surface temperature of the planet. The number was very small, but today annual fossil carbon extraction is some twenty to thirty times greater than this and more importantly the cumulative extraction (which we now know is what actually matters) since the late 19th century is hundreds of time this level. There have been many other such references and warnings, ranging from the 1988 testimony to Congress by NASA scientist James Hansen to Al Gore’s film Inconvenient Truth in 2006. Through all of these the story hasn’t really changed from the original calculations of Arrhenius in 1894, rather the understanding and methodology has been increasingly refined and improved. The above timeline isn’t new and can be found in much more detail in many books, blogs and periodicals. Nor is it even close to comprehensive, with dozens of other scientists and institutions making important contributions to the early analysis, particularly in the 1950s. Nevertheless, it seems to need repeating. Although atmospheric warming may not have been a dinner table conversation in the 1980s, it wasn’t a secret either. A look at the use of the phrases “greenhouse effect”, “global warming” and “climate change” shows that they appeared in books in the 1970s. Nor was it largely confined to the realm of science. Hollywood had even picked up on the issue in the 1973 film Soylent Green, where the greenhouse effect is specifically mentioned and is to some extent a core issue in the dystopian future that is postulated. The need to manage global emissions and put a halt to the relentless build-up of carbon dioxide in the atmosphere requires the intervention of governments and cooperation between them to ensure their success; particularly when implemented through a cost on carbon dioxide emissions. 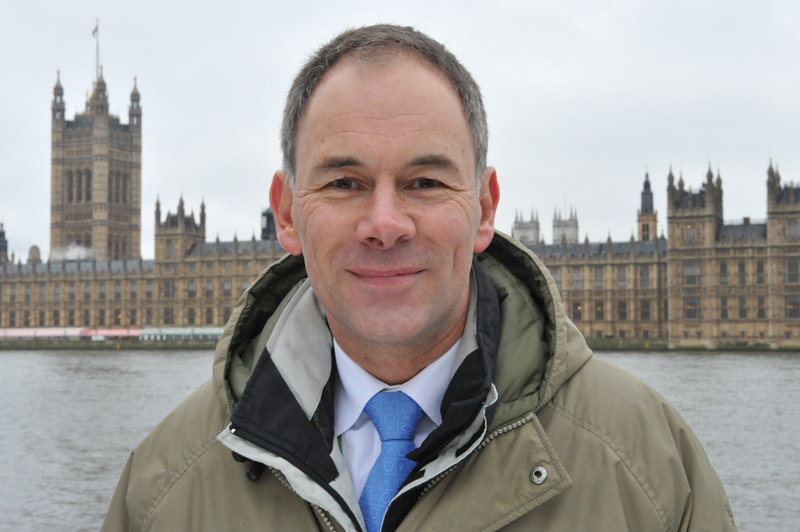 There is an ongoing debate around the role of government and the degree to which it should be allowed to address the issue of global warming. 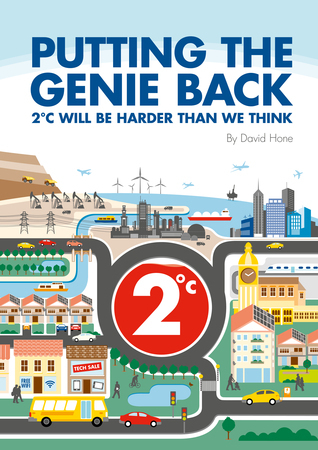 There are many who believe that government should have only a modest role in society; others accept a much wider role, including one to solve broad-based issues that affect society at large, for example, the build-up of carbon dioxide in the atmosphere. For the latter group, a carbon price may not go far enough; it is a tool designed to tease out the solution over a generation or more. In the case of those who seek to limit the role of government, the imposition of a pricing mechanism across the entire economy can be seen as a step too far and may even raise questions about the foundation upon which the mechanism is based; the science of climate change. Signs of change, but not always!